'Raised by the Earl of Mountnorris from the seeds saved at Arley Hall.' 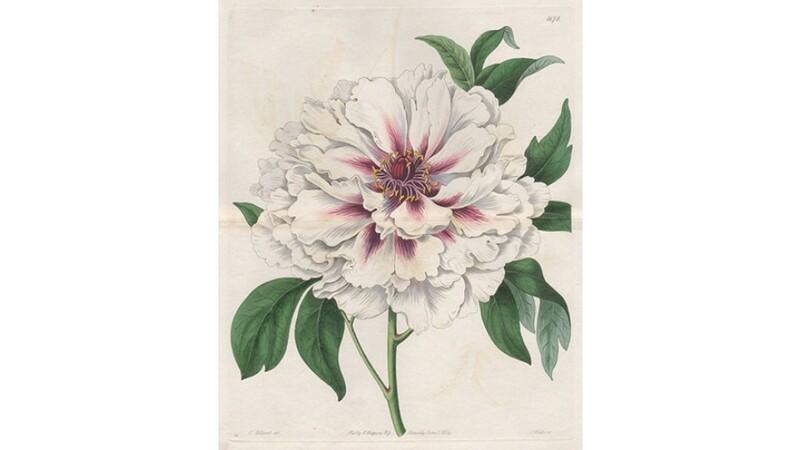 Botanical engraving from 'Edward's Botanical Register', published by John Lindley. 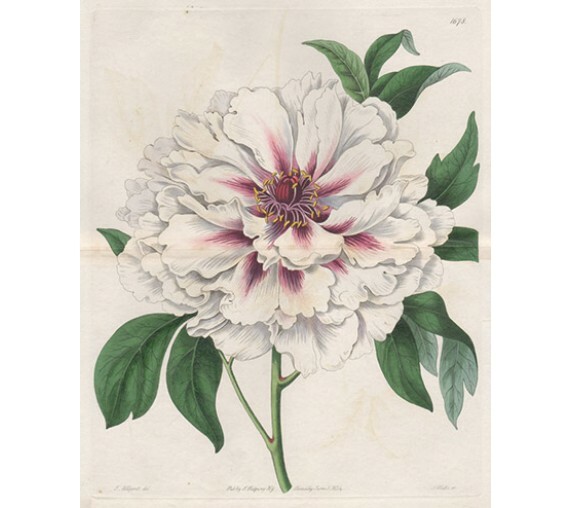 Accompanied by original text describing features of the plant, when it was introduced and by whom, and whose collection it comes from. 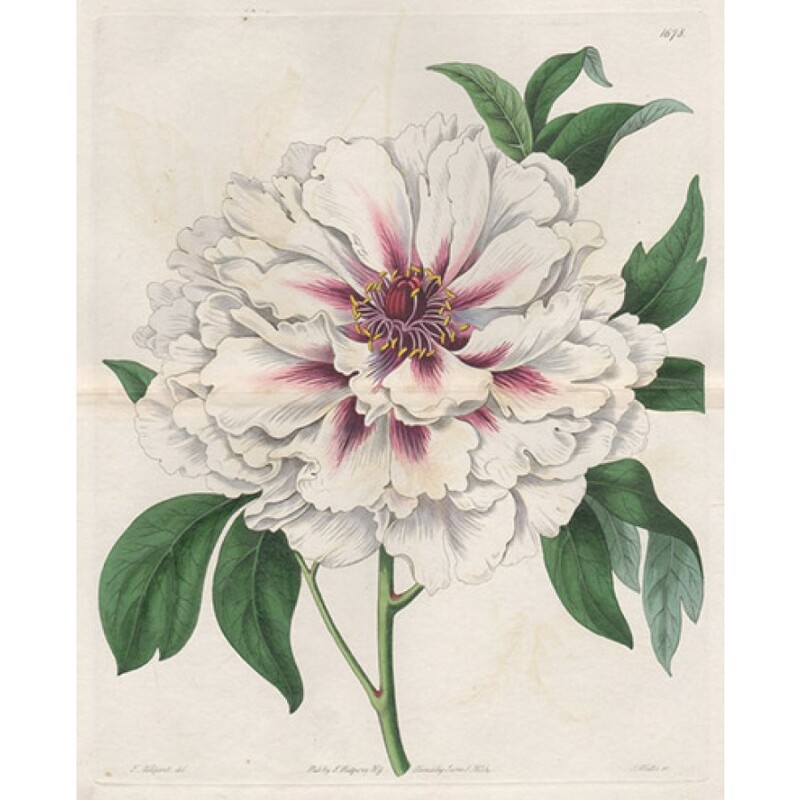 Thomas Allport was a botanical and landscape artist. He was born in Lichfield and came to Rotherham in the 1830s and later worked in Sheffield. Central horizontal fold as issued. Some very faint off-setting.